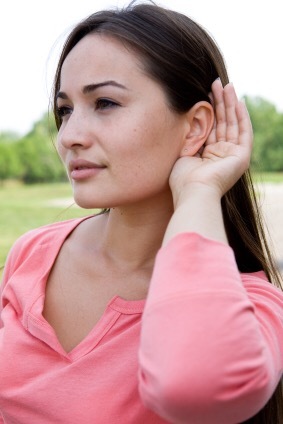 Type/Causes of Hearing Loss - Healthy Hearing Inc.
drugs that are toxic to the auditory system, and genetic syndromes. ExternalAuditory Meatus – or External Auditory Canal. 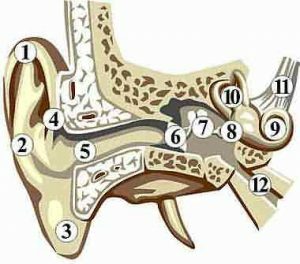 The auditory canal is the channel through which the sounds are led from the ear outside to the middle ear. Cochlea – Part of the inner ear that contains part of the hearing organs. Eighth Nerve – Nerve that transmits messages from the inner ear to the brain. Eustachian Tube – A tube connecting the middle ear cavity and the pharynx (back of the throat). It can be opened by coughing or swallowing, though it is normally closed. The occasional opening of the Eustachian tube is necessary to equalize the are in the middle ear cavity.